Context: The government is planning to have more benches of the National Company Law Tribunal on the basis of case load, amid rising number of insolvency cases coming up before the NCLT. Currently, there are 11 NCLT benches in different parts of the country, including two in the national capital. What is it? National Company Law Tribunal (NCLT) is a quasi-judicial body that will govern the companies in India. It was established under the Companies Act, 2013 and is a successor body of the Company Law Board. 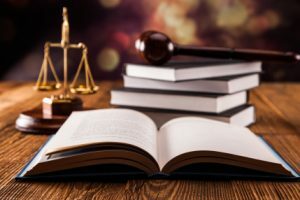 Powers: NCLT will have the same powers as assigned to the erstwhile Company Law Board (which are mostly related to dealing with oppression and mismanagement), Board for Industrial and Financial Reconstruction (BIFR)(revival of sick companies) and powers related to winding up of companies (which was available only with the High Courts). Background: The setting up of NCLT as a specialized institution for corporate justice is based on the recommendations of the Justice Eradi Committee on Law Relating to Insolvency and Winding up of Companies. For Prelims and Mains: NCLT. Context: The Union Cabinet has given its approval for rightsizing the Competition Commission of India (CCI) from One Chairperson and Six Members (totalling seven) to One Chairperson and Three Members (totalling four). Section 8(1) of the Competition Act, 2002 (the Act) provides that the Commission shall consist of a Chairperson and not less than two and not more than six Members. The Competition Commission of India (CCI) was established under the Competition Act, 2002 for the administration, implementation and enforcement of the Act, and was duly constituted in March 2009. Chairman and members are appointed by the central government. For Prelims and Mains: CCI, Competition Act. Context: The Union Cabinet has given its approval to the Protection of Human Rights (Amendments) Bill, 2018 for better protection and promotion of human rights in the country. For Prelims: Key features of the bill, NHRC and SHRC. For Mains: Human Rights related issues. Context: Pakistan has informed the World Bank about India’s completing of the Kishanganga hydropower project during the bank’s “pause” period and has urged it to “recognise its responsibility” under the Indus Waters Treaty. Pakistan has approached the World Bank, the mediator between the two countries of the water distribution treaty, in the past and raised issues over Kishanganga and Ratle projects in Jammu and Kashmir. It has been flagging concern over designs of India’s five hydroelectricity projects – Pakal Dul (1000 MW), Ratle (850 MW), Kishanganga (330 MW), Miyar (120 MW) and Lower Kalnai (48 MW) – being built/planned in the Indus river basin, contending these violate the treaty. In December 2016, the world bank had announced that it had “paused” the process for either appointing a Court of Arbitration (COA) or a neutral expert and started mediation between the two countries on how to advance and develop consensus in the light of the treaty on the mechanism for resolution of faulty designs of the two projects. Since then, the bank has arranged two rounds of talks between the two sides. The Kishanganga Hydroelectric Plant is an $864 million dam which is part of a run-of-the-river hydroelectric scheme that is designed to divert water from the Kishanganga River to a power plant in the Jhelum River basin. It is located 5 km north of Bandipore in Jammu and Kashmir, India and will have an installed capacity of 330 MW. 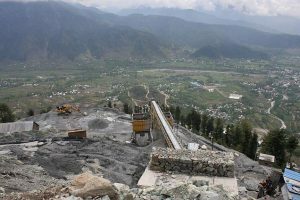 Construction on the dam was temporarily halted by the Hague’s Permanent Court of Arbitration in October 2011 due to Pakistan’s protest of its effect on the flow of the Kishanganga River (called the Neelum River in Pakistan). In February 2013, the Hague ruled that India could divert a minimum amount of water for power generation. 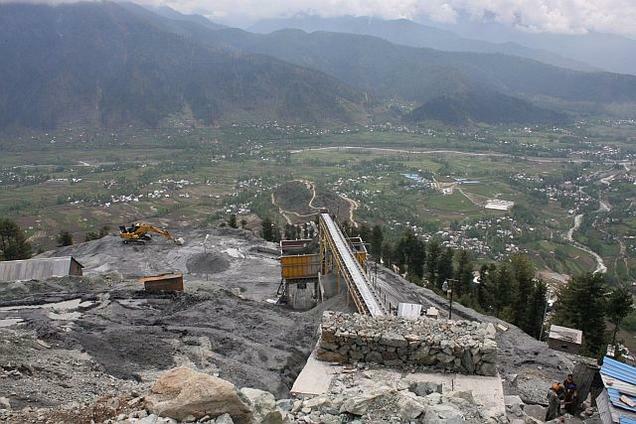 The Ratle Hydroelectric Plant is a run-of-the-river hydroelectric power station currently under construction on the Chenab River, downstream of the village of Ratle in Doda district of the Indian state of Jammu and Kashmir. The project includes a 133 m (436 ft) tall gravity dam and two power stations adjacent to one another. For Prelims: IWT, Kishanganga and Rattle projects. For Mains: IWT and related issues. Context: India has voiced opposition to the “weaponization” of outer space, saying it should not become an area of conflict while calling for collective efforts to strengthen safety and security of the space-based assets. India voiced its concerns in the recently held UN Disarmament Commission (UNDC) session. For Mains: Need for disarmament and need for international cooperation in this regard. Context: Ministry of road, transport and highway (MORTH) in their affidavit submitted recently before the National Green Tribunal(NGT) in matter of Char Dham widening road in Uttarakhand stated that in all the total 53 projects/stretches of Char Dham, none is above 100 km which is why no environmental clearance was obtained. Stretches upto 100 km are exempted from environmental clearance under Environmental Clearance Notification. 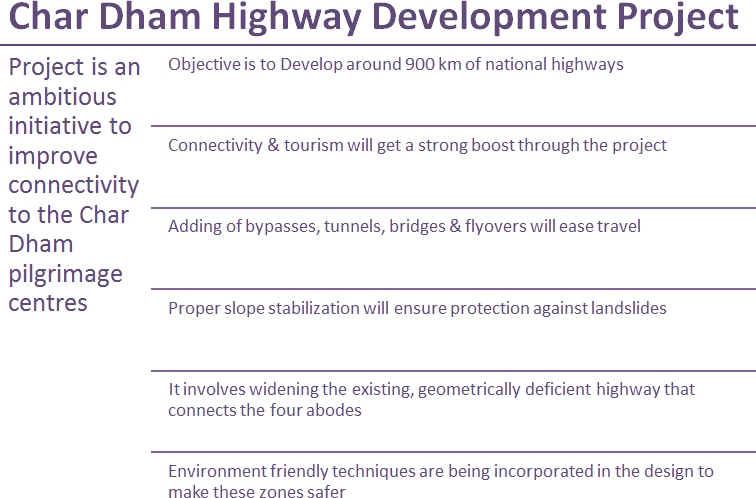 A petition was filed which said that the entire project of 900 km was misleadingly fragmented into segments which are actually continuous stretches of five national highway to avoid environmental clearance. 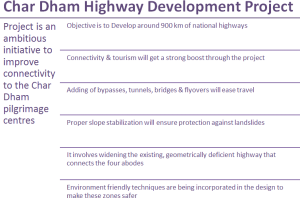 It stated that the criteria of Cumulative Impact Assessment and carrying capacity study must be followed for Himalayan terrain while considering any infrastructural projects. The project involves developing and widening 900-km of national highways connecting the holy Hindu pilgrimage sites of; Badrinath, Kedarnath, Gangotri, and Yamunotri at an estimated cost of Rs.12,000 crores. The roads will be widened from 12m to 24m and the project will involve construction of tunnels, bypasses, bridges, subways and viaducts. Context: ‘Internet Security Threat Report’ has been released by Symantec. Countries are ranked based on their vulnerability. These rankings are based on eight parameters – malware, spam, phishing, bots, network attacks, web attacks, ransomware and cryptominers. India is the third-most vulnerable country in terms of cyber threat risks including malware, spam, ransomware and one of the most recent and difficult-to-detect ones – cryptominers. India continues to be second-most impacted by spam and bots and third-most impacted by network attacks and fourth-most impacted by ransomware. In terms of cryptomining activities, India has ranked second in Asia-Pacific and Japan region (APJ), and ninth globally. The US was was most vulnerable to attacks at 26.61% followed by China at 10.95%. With the threat landscape becoming more diverse, attackers are working harder to discover new avenues of attack and cover their tracks. From the sudden spread of WannaCry and Petya/NotPetya, to the swift growth in coinminers, 2017 that digital security threats can come from new and unexpected sources. Cryptojacking has captured the top slot at the attacker toolkit, which signals a massive threat to cyber and personal security. Cryptojacking is defined as the secret use of a computing device to mine cryptocurrency. There is also a 200% increase in attackers injecting malware implants into the software supply chain in 2017. Threats in the mobile space continue to grow year-over-year, including the number of new mobile malware variants rising 54%. For Prelims: Cryptojacking, wannacry and petya. For Mains: Cyber security threats- challenges and solutions. Context: India has overtaken Japan to become the world’s second largest producer of crude steel in February. 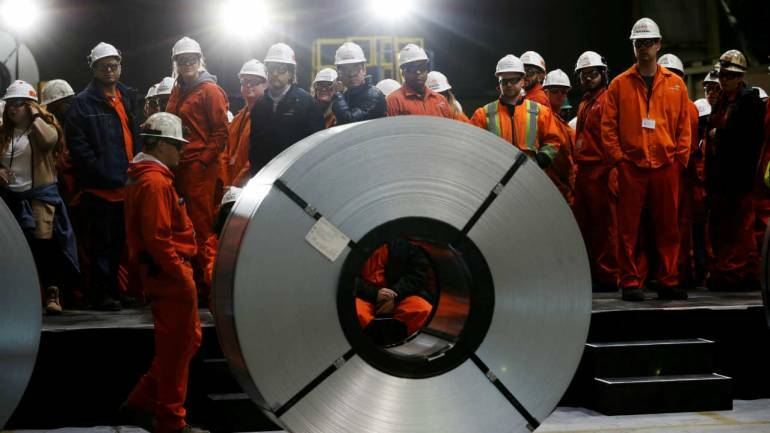 Growth is attributed to Centre’s steps to curb imports, ‘Make in India’ among others. Key facts: At present, China is the largest producer of crude steel in the world, accounting for more than 50% of the production.